If you haven’t seen David Huang’s website and work, then click here. 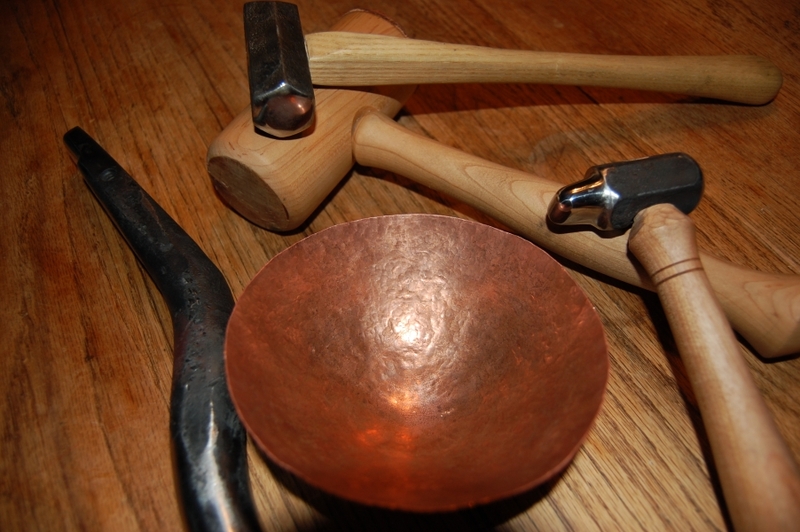 He has me all inspired and I finished a new tiny steel raising hammer and went to town on another poor circle of copper. This entry was posted on July 9, 2010 at 3:23 am and is filed under Blacksmithing, Forging, Hammers, metalwork, Raising Copper, Tool Making. You can follow any responses to this entry through the RSS 2.0 feed. You can leave a response, or trackback from your own site. Jim, Nice work! You just need more time to make more stuff.